Is the clutter and chaos beginning to get a little out of hand in your home? Create the perfect solution for getting organized with this storage credenza from the Adept Storage collection. You can find a spot for all your stuff! This handy credenza features nine cubby hole storage areas that provide you with the perfect amount of room to stow away items like stacks of books, bins full of crafting supplies, photo albums and much more! It also accommodates ID label tags so you’ll always know where to find all your goodies. It features three adjustable shelves that have the ability to move to different heights to create flexible storage options for items of all shapes and sizes. Its large top surface provides you with an ideal amount of room to display home décor items like an accent lamp, decorative plants and picture frames too! Finished in Soft White and detailed with a Lintel Oak accent, this charming bookcase gives you the style and functionality you need in any room of your home. Looking for a way to add simplistic beauty to your home décor? Well we’ve got just what you need. Update your home with the charming style of this library from the Cottage Road collection. It features three large shelves that provide you with the perfect amount of space to store and display an array of items like your favorite novels and organizing bins to decorative plants and picture frames. The two adjustable shelves provide you with the ability to move them to different heights to create flexible storage options for items of all shapes and sizes. It accommodates all your stuff! Behind the framed panel doors is a hidden storage area that includes an adjustable shelf for additional storage space for items you prefer not been seen lying around your home. Its versatile style and design make it a great addition to any room in your home – the living room, your office, down the hallway or even in your bedroom. 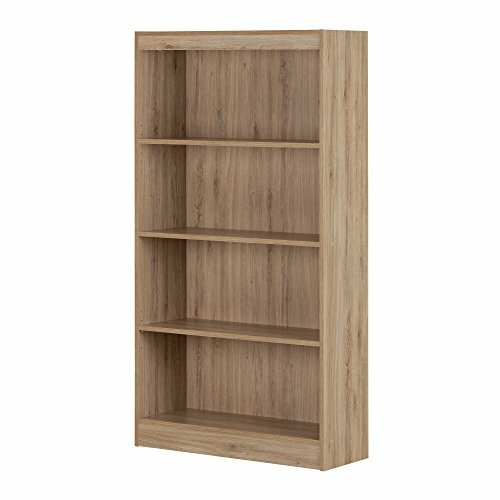 Finished in Soft White and detailed with Lintel Oak accents, this beautiful bookcase is just what your home is missing. 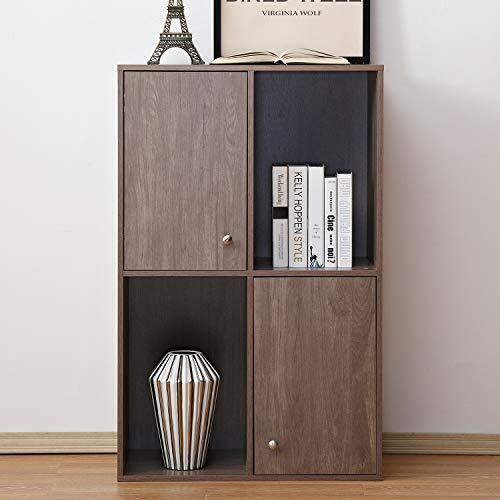 Modern Home StorageBoth practical and attractive with its sleek modern styling, this bookcase is sure to enhance the look of any room in your home, and the furniture collection’s neutral design ensures it will complement any existing decor. The versatile 4-shelf bookcase can meet all your storage needs, and is the ideal space to organize and store your books, binders, toys or decorative items.Open Accessible ShelvesAn effective and reliable storage solution for kids and adults bedrooms, living rooms, offices and playrooms, the bookcase features 4 open, practical and accessible storage spaces, separated by a combination of 1 fixed shelf and 2 adjustable shelves that can support up to 25 lb.5-Year Limited WarrantyShop with confidence knowing that we proudly stand behind our products with a full 5-year limited warranty. Assembly is required. Please note tools and accessories are not included. Our products meet or exceed all North American safety standards. Ships in a heavy box, make sure to have a friend with you. Packaging tested and certified to reduce the risk of damage during shipment. We recommend 2 people to assemble. Made in North America with non-toxic laminated particleboard. South Shore Furniture's support team is available 7 days a week if you have any questions. Add a touch of timeless beauty and charming style to your home with this cottage-inspired library with doors from the Harbor View collection. It features two spacious shelves that are ideal for storing and displaying anything your little heart desires – from collectables and prized possessions to knick-knacks and decorative plants. It has room for all your stuff! Its two adjustable shelves have the ability to move to different heights to create flexible storage options for items of all different shapes and sizes. Behind its louver detailed doors is a hidden storage area that includes a large adjustable shelf for you to store and conceal all your clutter and chaos. It also includes a storage drawer that opens and closes on smooth metal runners – come on, who doesn't need an extra junk drawer for all those small items that never seem to have a home? The enclosed back panel features cord access so you can keep all your wires neat and out of the way. 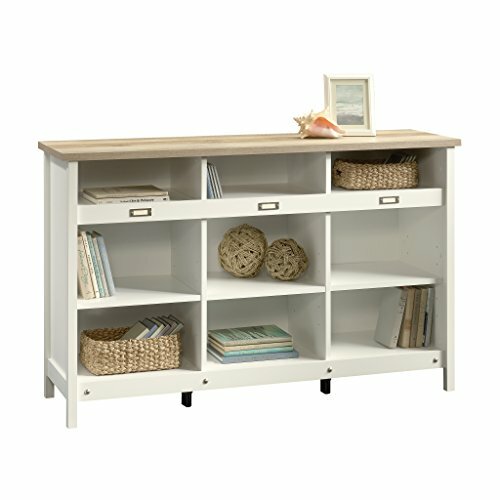 Finished in Salt Oak and detailed with solid wood knobs and turned feet, this beautiful library makes a great addition to any room in your home. 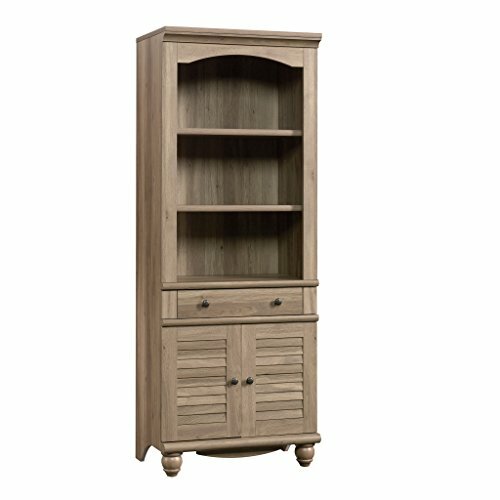 Looking for more Oak Storage Bookcase Cabinet similar ideas? Try to explore these searches: Rotary Scoring Blade, Moisturizer Spf 30 Lip Balm, and 4 Door Euro Clear Corner. 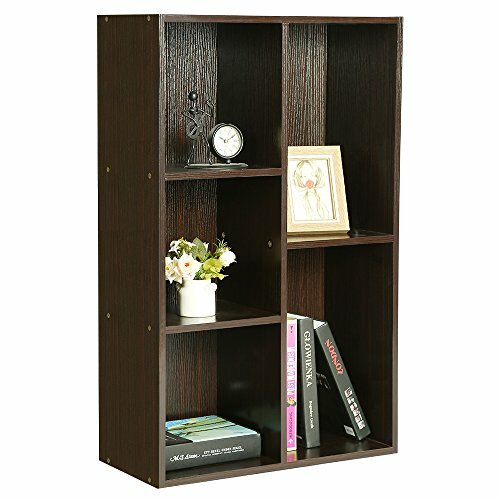 Look at latest related video about Oak Storage Bookcase Cabinet. Shopwizion.com is the smartest way for online shopping: compare prices of leading online shops for best deals around the web. 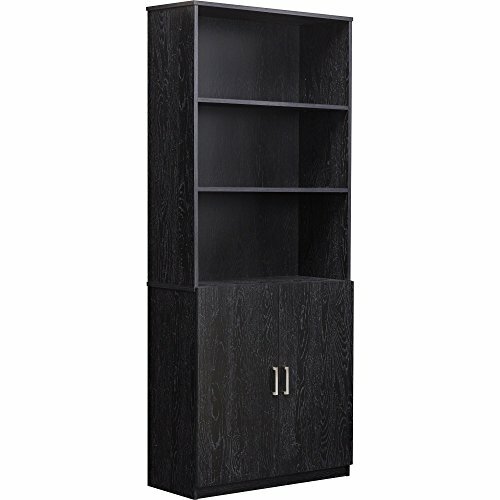 Don't miss TOP Oak Storage Bookcase Cabinet deals, updated daily.